Edward came to New Zealand in 2001 from China for a life style change and fell in love with Christchurch at first sight. He brought with him 5 years commercial wholesale experience which has been further developed through study and work experiences here. Edward now holds a bachelor degree in Business Management and diploma in Human Resource Management. 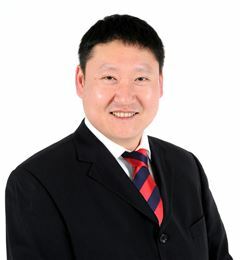 Edward’s unique bilingual background, people skills, sales experiences, and a good understanding of Christchurch Business and Commercial Property Market together with a hard working work ethic and enthusiastic and caring attitude ensures only the highest level of services will be provided to his clients. Edward is an active member of the Chinese Society and has built great relationships with people across all culture backgrounds.